WhatsApp uses Extensible Messaging and Presence Protocol, which is an open-standard communications protocol for texting sharing photo, video and audio files. It is a kind of smaller version of Unified Communications , the protocol ad devices, usages are different. WhatsApp for Android is from WhatsApp and it is a proprietary software for the common mobile platforms. Before going to the topic of WhatsApp for Android, some basics on WhatsApp will probably give the users some idea of what they are using. Cisco Unified Communications Manager is an enterprise-class IP telephony call- processing system and really can not be compared with a small app server powered app. But it does have many security features which lacks on most mobile messaging softwares. With a VPN connection for the Android Tab, it becomes very nice for sharing photos, texting within the App. WhatsApp synchronizes with the phone contact, so to add the user a real phone number is needed. This is the only differentiating point with Skype. Within 10 months, using WhatsApp over ten billion messages has been sent per day. The newest version of WhatsApp sends messages in encrypted way not as texts. Depending upon the service provider WhatsApp, WhatsApp for Android can be blocked, the flexibility of Unified Communications can not felt. It is actually an Ad Free paid service, but is free for the first year and later charged one cent less than one dollar, annually. Do not share your passwords using WhatsApp or too much sensitive data, the VPN of your ISP is not yours, the communication server of WhatsApp is also not users. So basically 3 points needs to be passed. Apart from the only app, WhatsApp for Android has some extra Apps for enhancement. Download only from Google Play. WhatsApp Messenger : The main app.Official App. WhatsApp Wallpaper : The default mosaic like wallpaper can be change, it is official app. Z – WhatsArt for WhatsApp : You can share drawing within the App. Paint for Whatsapp : Works somewhat the above Addon. 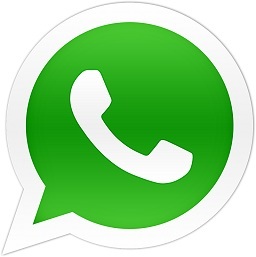 Z – WhatsSound for WhatsApp : Helps to send sounds directly from WhatsApp. SmileyDraw for WhatsApp : The name is self explanatory. Help Whatsapp : Short introduction that you will help you to get WhatsApp using smoothly. Kisses for WhatsApp : Do not blame us ! WhatsApp Statistics FREE : WhatsApp Statistics creates comprehensive and interesting statistics based on your usage. WhatsApp Phrases : WhatsAppPhrases changes the default greeting message. WhatsApp for Android is really a good solution if you want to have a conversation like Android Text messages, in conversation format without the charge of text messages. This Article Has Been Shared 3312 Times! Best Android Apps for Creating Ringtone lists some useful Apps which can be used to create Ringtone from Songs. Java virtual machine English is a fictional computer device simulated by specific software for each platform that executes programs compiled into Java bytecode. I love Z photo fake , my favorite addon for whatsapp to troll your friends and have tons of fun…. Cite this article as: Abhishek Ghosh, "WhatsApp for Android : Details of WhatsApp and Extra Addons," in The Customize Windows, September 17, 2012, April 25, 2019, https://thecustomizewindows.com/2012/09/whatsapp-for-android-details-of-whatsapp-and-extra-addons/.